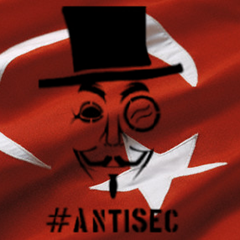 Unidentified hackers have broken into the website of the Turkish government claimed to be Part of Anonymous Group of Hackers. The hackers aimed to access official documents on government correspondence but were prevented from doing so by on-duty information technology experts. Anonymous, members of which have so far attacked many websites worldwide for various reasons. The Prime Ministry tightened cybersecurity measures and implemented a new network firewall following the attack. The website was under DDoS attack for 2 hours. Turkish specialists managed to counter the attacks with new software. There has been no information on data leakage.Attacks were made from State Virginia, USA, and China.